Why Did Dad Leave on that Plane? Blog children Why Did Dad Leave on that Plane? 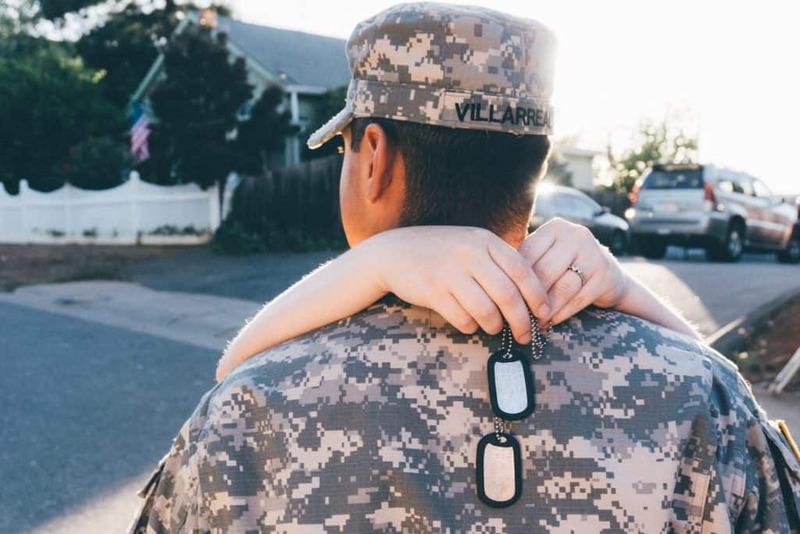 Kids in military families often experience anxiety or depression when mom or dad is deployed. These kids face more challenges than other kids and research shows that they are at an increased risk of both emotional and behavioral problems. The longer the parent is deployed, the more problems that these kids face. There are steps the parent or other caregiver at home can take to help a child going through this type of situation. The child needs to understand why their parent has to leave, where the parent is going, and how long he or she may be away. Parents and caregivers must plan ahead to help the child through his or her fears and answer questions to help ease emotional distress. Children look to caregivers for security, so it’s important that while a parent is gone that the child still feels safe and sound. Assure the child that there is no war taking place close to them. Make sure he or she understands the home and the neighborhood are safe. The child may also worry about the safety of the deployed parent, so make sure you explain that while they are in a possibly dangerous situation, there are many highly trained men and women working together to keep one another safe. Children must be able to express their feelings, so be open to discussing their feelings and answer any questions they may have. This helps the children feel as though their thoughts, feelings, and opinions matter. It is not easy for children to understand what war is, why it has to happen, or why their parent has to go. Talking about war and why deployment is necessary only makes your family stronger. It can help ease children’s concerns as long as you don’t play down your child’s stressors or fears. Ignoring a child’s feelings can make them feel that their concerns are not important and may create a feeling of powerlessness and vulnerability in the child. Children can better understand what is happening if you explain the situation from other points of view. Explain how democracy works, and while violence is not always the answer, it is sometimes necessary to keep people safe. Use your family as an example to better explain democracy along with give and take. You can explain how each family member wants their opinion or ideas heard. After explaining it, you can explain your position, such as how you don’t like war, but you understand why it might be necessary to keep people safe. Also, you can tell the child that while countries work on other ways to come to peaceful solutions, at this time, you understand why some people must fight. It’s important that the child has a way to talk to the deployed parent. This means keeping the lines of communication open. Letters, phone calls, texts or other forms of communication when possible are important to children — especially on important dates, like birthdays and holidays. Always watch for signs that the child is having trouble coping with the deployment. Watch for signs of stress, such as fighting at school, changes in appetite, increased crying, skipping school, stomachaches, headaches, nightmares, and in older children, drug and alcohol use. If you’ve tried to deal with the child’s feelings of anxiety or depression on your own, but the child does not seem to be adjusting to the situation, you should consider professional help.